I became an entrepreneur because I was curious about what I could become. It was a curiosity not shared by any employer I ever had. There seems to be no shortage of folks hawking six-figure income formulas these days. I suspect that all the noise frightens away many would-be business owners. Our reasons for wanting to start an enterprise of our own is often motivated by more than money. In fact, my conversations with joyfully jobless folks often focus on all the surprising rewards they’ve discovered since heading out on their own. As my friend Peter Vogt points out, we get paid in multiple currencies like being in charge of our own time and connecting with inspiring people and exercising our creative spirits. I’ve been anticipating and celebrating one of those rewards that caught me by surprise. It sort of snuck up on me. At the end of June, I usually remember that Making a Living Without a Job has a birthday coming up. July 15, 1993 was the date it made its first appearance. What surprised me was the realization that this is the 25th anniversary of my arrival on bookstore shelves. Even though my editor had predicted it would have a long shelf life, I hadn’t anticipated a quarter century. Obviously, this was a milestone worthy of a celebration. What form that celebration would take eluded me, but I remain humbly astonished by the longevity. At the same time, I shouldn’t be surprised. I knew from the beginning that the notion of working for yourself was an idea we grow and evolve into. There has always been a new group of us getting to that point, opening our minds to the possibility of new directions. We may still be in the minority, but our numbers keep growing. That’s also cause to celebrate. The big reward for me is getting messages like this one from a woman in Australia. She wrote,“I found your book in my local library 9 years ago. At the time I was so poor I couldn’t have afforded to buy my own copy. “The reason I’m writing to you is to say that I didn’t know it would take 9 years, but I kept moving towards the goal of being joyfully jobless and putting little things in place, taking courses, doing tiny contracts to get experience, reading your newsletters and taking opportunities as they presented, all of which has made a contribution to me being nicely placed to be joyfully jobless, to travel the world when I want to and be at home when I need to. Thanks to all of you who have kept this book in print, who have passed it along to others, who have taken time to share your journeys. Here’s a short version of my journey. It was a trip I hadn’t planned to take. Although many book loving kids grow up dreaming of writing a book, it was not a dream I shared. While my love of reading never stopped, my enthusiasm did not extend to writing. 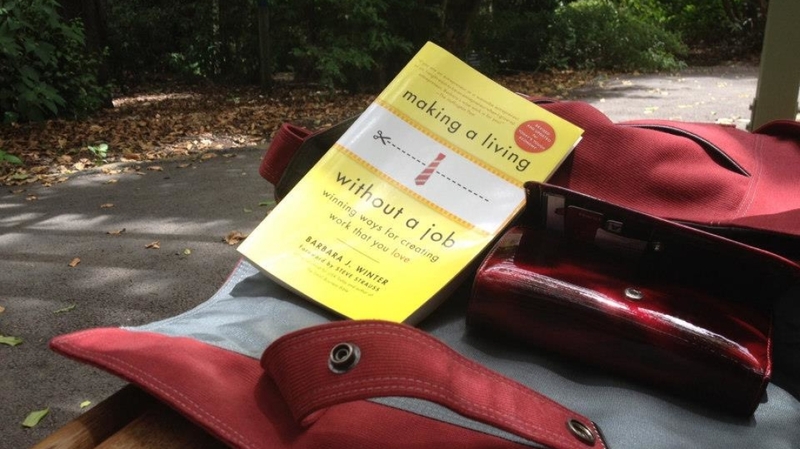 When I began teaching seminars on Making a Living Without a Job in 1988, I thought it would be a short-lived project. It was, after all, a radical notion at the time. Besides I had other topics I wanted to develop. Boy, was I wrong. I quickly learned that the world was full of people who were looking for alternatives to having a conventional job. One question kept popping up right from the beginning. “Do you have a book?” I’d usually mumble some response about planning to have a book in the future. I wasn’t nearly as confident about my writing skills as I was about my speaking skills. I also knew that I did not want to write a book until I had success stories from my students, proof that my ideas worked for others. After three years of doing my programs in a growing number of adult ed centers, I felt ready to tackle a book version. Self-publishing seemed difficult and mysterious, but so did conventional publishing. How was I going to get an agent? Or get a publisher to pay attention? Then I got the crazy idea that I’d love to have a publisher find me, rather than me finding them. I had a seminar coming up in New York and decided that some editor would see my program, sign up, and offer me a contract. That’s not exactly what happened. However, when I returned to New York six months later, two publishers sent editors to my seminar. Three days later, they both offered me a contract. My crazy idea had mysteriously worked. 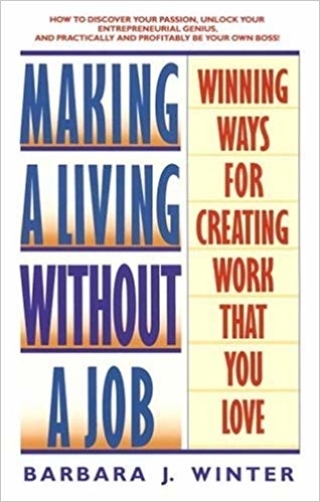 On July 15, 1993, Making a Living Without a Job made its debut. It has remained in print ever since. In 2009 it was updated since the original version did not contain words such as Skype or Internet. However, since my teachings are focused on philosophy and mindset, not the nuts and bolts of self-employment, that framework hasn’t changed. The basics have remained the same. And I am no longer reluctant to list Writer on my bio. If you have a story to share about how Making a Living Without a Job came into your life or how you’ve used it, I’d love to hear about it. I’d also welcome suggestions about how to celebrate this milestone. I’m thinking the celebration could last longer than just one day. 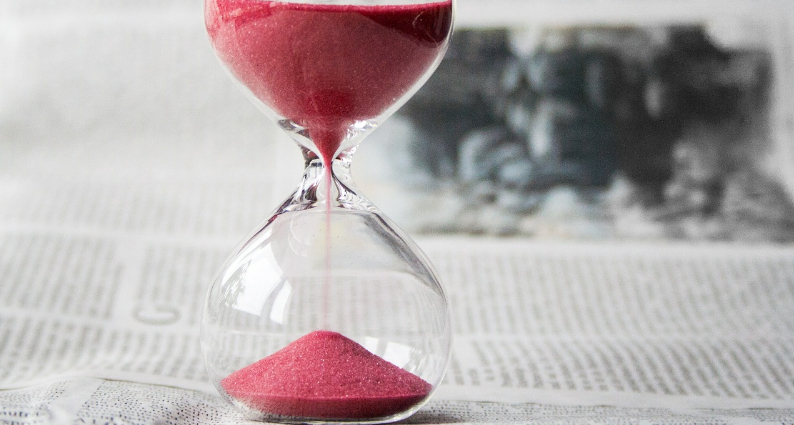 Every business has times that are busy and times that are not. Here are some ideas for making the most of a gift of time.